When Britain's railways were nationalized in 1948, more than 19,000 steam locomotives were taken over from private companies, and the manufacture of steam locomotives continued until 1960. 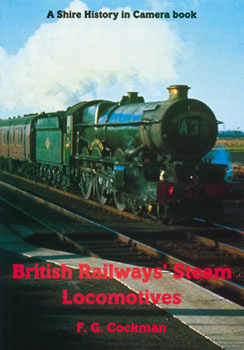 This book explores the principle classes of steam locomotives in Britain during this time period, and places an emphasis on locomotives that have been preserved. It features informative sections on the 4 main types of locomotives - express, mixed traffic, tank, and freight. One of the highlights of this book are the wealth of detailed early photographs depicting all the classes of locomotives among the well-written text. This book is a must for anyone interested in steam locomotives or railroads in general.